Image optimization is an important part of On-Page SEO. And if you are not doing the SEO Image optimization then I think that is the biggest mistake you are doing as an online marketer. Are you using images for your content? Are you using enough images for your post? Adding a single image to your page or post enhances the SEO? And many other questions must be in your mind or I had in my mind as a beginner too. When I was a beginner in the field of SEO even, I use to have these type of questions for sure. But now I am clear and have understood that even a single image in the blog post can enhance the SEO of our post or page. So today in this post I will be telling you how you can do better SEO image optimization and rank of the Google SERPs. A good image can say a thousand words without even actually reading the content with which the image is attached. Many people including me judge a post by the image or images in it. Becuase an attractive image can get the intention of the people easily. So, I recommend you to use an image which reflects the image for the post. Best Reasons to use Images for your Blog posts. I always use an image related to my post, because if you are using an image which is different than your post, then it may result up in nothing. And probably you will end up with no or fewer post readers. Well, Every beginner has this question in mind that how to do image optimization properly and get the best results. I don’t know which CMS you are using for your blog or website, either it’s WordPress, Shopify or any other CMS or you might be using a plain HTML and CSS coded site. So the the basic Code for image is <img src=”#” style=”width:#;height:#;”>. But if you want to do better SEO then you must add the alt attribute to it, like (alt= “Keyword”). The actual code will be <img src=”#” alt=”#” style=”width:#;height:#;”>. But if you are using any other CMS for your website or blog then you will be getting an option for doing that. Like In WordPress you can see the below Screenshot to check. Here the WordPress gives the option to set the alt text for the image. Why use WordPress CMS for your website or blog? And likewise, you get options for the Alt text in other CMS like Shopify, Magento, Joomla, Drupal, Pligg and some other related CMS. How to make money by Selling photographs Online? Thanks for let me know this important on page seo factor, by the way ! can we used more than one keyword in alt like “on page seo technique” in this “on page” and “seo technique” can be possible to consider as separate entities ? That’s really great. I am glad that you liked it. Hi Robin nice article on the topic image optimization. Most people make the mistake of not inserting a relevant image to support the article. People also fails to optimally utilize the alt tags, where they can blend in keywords. Image size also matters. Image size plays an important role in determining the website loading time, In feature too crucial for online success. Thanks Robin for sharing on page SEO techniques for image optimization. Image optimization is one of the most important parts of SEO. Whether it’s about the size of the image or the ALT TEXT, everything should be considered. Never forget to add the alt text tag for any image you upload. I really appreciate that you shared you thought about the post with me. Kepp visiting and thanks for the comment. Image Optimization is most important part of SEO but most of experts & webmaster don’t make focus on Image Optimization as it’s really important. After reading this article. I don’t think. It’s hard to optimize a Image ! Yes, it not hard to optimize images. I have never inserted any image in a post or page without alt and description attributes. It seems on a right track. But I am also using a plugin ‘EWWW Image Optimizer’ in my blog to compliment it. Do you have any word on this bro? EWWW image optimizer helps to reduce the size of the images to increase the speed of the site. As the Search Engines are getting smarter and more intelligent, the process of achieving a good search ranking is getting more complex. Now it takes much more than just quality content to get to the top. There are many factors that contribute to showing up well in search engine rankings, one of the most important of them is the on page optimization. Image relevancy is important when it comes to image optimization for SEO. Images are eye-catching so are perfect for linking. But proper image linking techniques can offer even better results. One of the basic tips for image linking is to avoid linking our images directly. Eventually, thanks for sharing your experience with us. I am glad that you liked my post about image optimization. Keep visiting and have a great year ahead. Appreciate hard work image optimized guide. Thank’s for sharing. And you too have a good year ahead. My heartful thanks to you first, to take this issue and to bring out the central importance of image optimization for SEO. 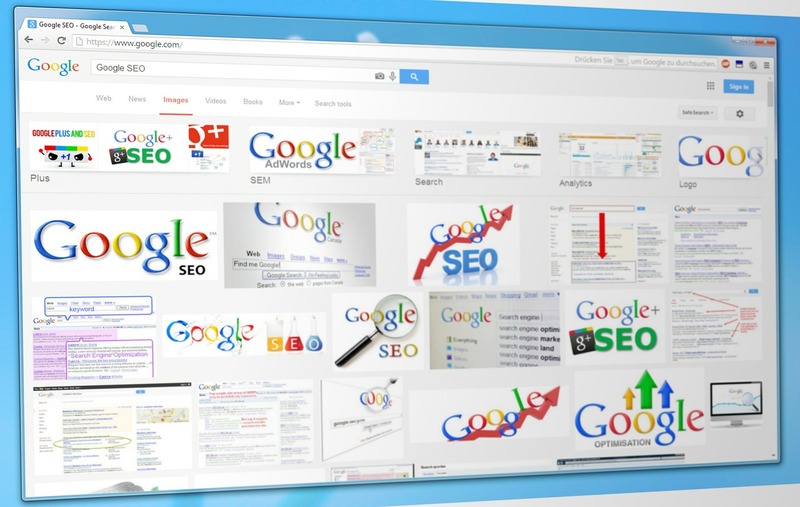 It’s really an important SEO factor in that we can do our keyword optimization too. Most people will beautifully design the image, but they will fail to optimize the images to perform well in SEO. Image alt tags and keyword optimization in images and image size everything important in SEO. Updating alt tag while uploading is a mandatory thing everybody needs to follow. Eventually thanks for sharing this excellent information. Nice read.Thanks fot he tips. In SEO Image Optimization is one of the most important factors, it you need to consider because a lot of people search for popular images. it will improve your rank and traffic to your website. Thanks for the blog. Excellent article, thanks for sharing these tips. Once again informative post, especially for me, as I was not looking towards alt tags for images. Help me with one info, if my post has 25 images then how to add 25 alt tags in one post? If I add 25 alt tags then will it be considered as keyword stuffing? No that won’t be considered as keyword stuffing. but I will recommend you to use different LSI keywords (synonyms) instead of using the keyword again and again. Possibly you could get traffic from image search using the LSI keyword.